Rose Tucker and Matthew Salleh from Urtext Film Productions came into the studios today to talk about their recent experience at the Cannes Film Festival and their new steampunk epic Aurora. It was made over 3 and a half years with a budget of only $1800! You can see the finished 34 minute film at their website where they chose to upload the film in its entirety for anyone to watch. Film distribution in the new age! They also made a tumblr just for their Cannes trip – Matt and Rosie go to Cannes – a great insight into the festival, with some hilarious photos to boot. I asked Matt and Rosie how they started out in film. Looking Forward, Looking Blak was a forum held during the BigPond Adelaide Film Festival in March this year at The Hawke Centre. Beck Cole, director of Here I Am and Tom E Lewis, the actor who played the lead role in The Chant of Jimmie Blacksmith (1978). Beck Cole was asked by forum chair Dr Mike Walsh, Senior Lecturer in Screen and Media at Flinders University, about the famous 1955 Australian film Jedda and where Here I Am appears on that spectrum of indigenous film. Others on the forum were Rolf de Heer, Australian independent director behind Ten Canoes and Brenca Croft, lecturer in Aboriginal Art and Studies at the University of South Australia. You can find full audio from the forum at Radio Adelaide’s Public Domain website and video footage on The Hawke Centre’s channel. Young local artist Genevieve Brandenburg is on a mission to get hundreds of people’s faces on the big screen. 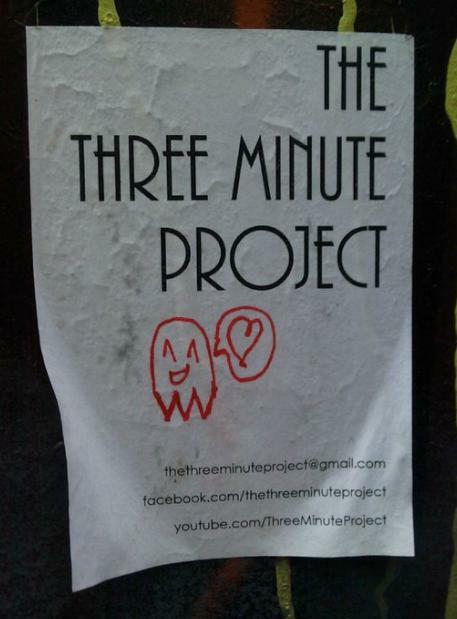 She’s currently directing and producing The Three Minute Project, an art film experiment in Adelaide. Friday Radio Adelaide Breakfast presenter Jennie Lenman asked Genevieve to explain the objective of her project. Audio can be found at the Radio Adelaide Breakfast blog. Chrissy and I had a great chat about ways to invigorate the Australian film industry (the amateur’s interpretation) so if that sort of thing floats your boat please check out the full audio for today’s show.